What Produce Is in Season This Summer? Summer is inarguably the best time of year for many, many fruits and vegetables, which makes it hard to distinguish between what you should and shouldn’t be buying. So here is a list of not-to-miss produce, all at its peak in July, August, and September. 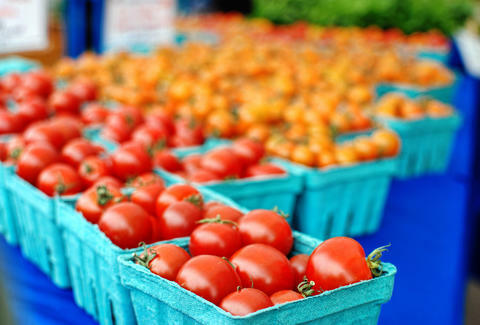 Be sure to seek out your local farmers markets for max freshness and flavor -- most is picked the same day it’s sold. 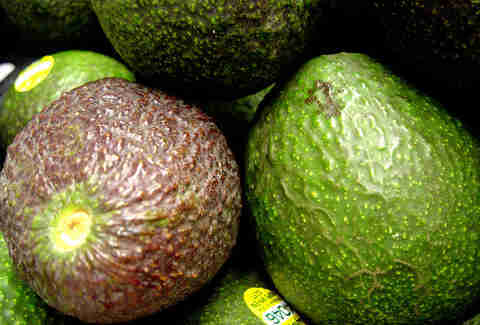 Although available year-round, avocados are at their peak during the warm summer months. Available in many different colors and sizes, these glossy-skinned veggies are full of vitamin C and A. Bell peppers originated in South America, where seeds of a wild variety are believed to date back to 5,000 BC. The various colored bell peppers all come from the same plant, but differ in their level of maturity. Summer berries -- blackberries, blueberries, strawberries, huckleberries, and raspberries -- are rich in nutrients and antioxidants. Toss into salads, swirl into yogurt, or top over ice cream, for a summer treat. High in vitamin A and C, cantaloupe contains over 30 times more beta-carotene than fresh oranges, and oranges already contain a lot! Although referred to as a fruit, most people don’t know that melons belong to the same gourd family as winter squash, cucumbers, and pumpkins. The appearance of these glossy little suckers in grocery stores is a clear signal that summer has arrived. They’re high in vitamin C and antioxidants, but more importantly, are excellent in Fireball cocktails. The wide array of chili peppers in varying sizes, colors, and heat levels is sure to spice up your summer cooking. Try swapping out tired old jalapeños for ancho, Thai-style, or even habanero chilis! Corn is at its best and sweetest right at the end of June, just after it is picked. Make sure to buy local to ensure freshness, as the less time traveled to the market, the better. Try it right off the grill with Sriracha! A member of the squash family, cucumbers' high water content is refreshing during the hot summer months, particularly in grapefruit margaritas. 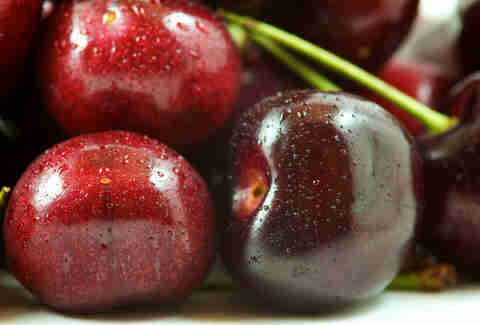 They’re also a good source of vitamin C and silica, which is important for connective tissue health and also does wonders for the skin. Be on the lookout for small Turkish or Persian varieties! Many varieties of eggplant show up during the summer months, from long, purple Japanese eggplant to little globes. Ranging in color from dark purple to green to even white, these veggies love to be grilled and are hearty enough to replace meat, if that’s your thing. Also known as French beans or snap beans, there are many varieties available now, including yellow and purple varieties. All of ‘em are high in fiber and vitamin A, too. 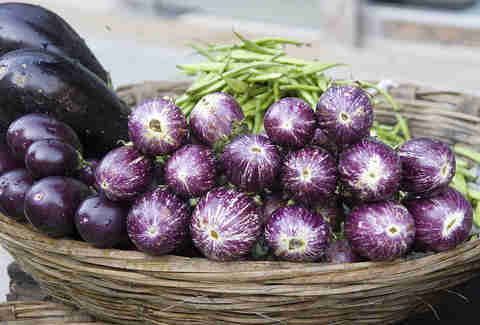 A member of the cabbage family, this crunchy, peppery bulb ranges in color from pale green to purple, has a creamy white center, and is similar in flavor to turnips and radishes. It’s wonderful raw in salad or slaws, just make sure to peel the tough outer layers before using. Choose firm bulbs with no soft spots. Best fried, or pickled and stewed with other summer favorites like tomatoes, peppers, and eggplant, these bright green tender pods are common in Southern, Creole, Cajun, and Indian cooking. Avoid pods that are dull- and dry-looking, blemished, or limp -- they should easily snap in half. It does not store well, so use within two or three days at most. This disk-shaped summer squash has scalloped edges and ranges in color from soft green to white to bright yellow. Pattypan are delicious grilled and a good source of magnesium, niacin, and vitamins A and C.
Choose local, blemish-free, heavy (indicates a lot of juice!) 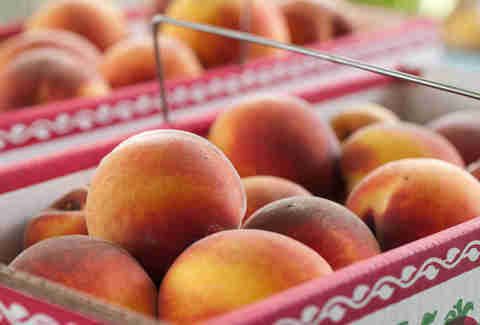 peaches for the best flavor. Try ‘em in a simple Caprese salad side dish. Unlike green beans, shelling beans are eaten for the edible seeds inside their pods, which must be removed before cooking. A shriveled and slightly moist pod indicates a plump bean inside and when purchased fresh, shelling beans take only minutes to cook and do not require an overnight soak. They’re best later in the season. Red, yellow, green, black, speckled, and striped -- tomatoes are at their peak. The fruit is green, about the size of a golf ball, and firmer than a tomato. They grow to maturity inside a brown papery, inedible, husk. Sylvia Fountaine is a professional chef, caterer, and author of www.feastingathome.com.